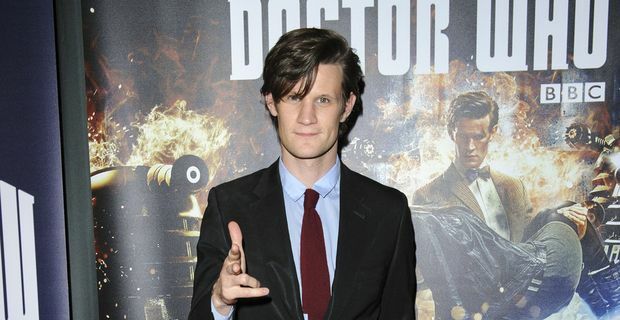 Matt Smith, better known as Doctor Who, is to step down from the role of the Time Lord at the end of 2013. Smith's final portrayal of the Doctor will be in the Christmas special, after the 50th anniversary special is broadcast in November. The 30 year-old Smith, the youngest actor to appear as the Doctor, succeeded David Tennant in the role in 2010. Smith said: "Doctor Who has been the most brilliant experience for me as an actor and a bloke, and that largely is down to the cast, crew and fans of the show. The fans of Doctor Who around the world are unlike any other." That's no understatement. Doctor Who, although ostensibly a kids' show, seems to attract some of the most critical and demanding fans in the world, who get very sniffy if they feel any actor or storyline betrays the show's heritage. John Simm, who played the Doctor's arch-enemy the Master in a handful of episodes, was quite scathing about the attention he gets from fans of the show. "God almighty, I'll be so happy when that's gone from my life," Simm said. "It's great to be into something, but for goodness' sake, really? I'm not the Master, I'm not that evil Time Lord who rules the galaxy, I'm just in Tesco with my kids. Leave me alone!" Simm distanced himself from the comments after the show's fans read them. An actor's biggest anxiety must be wondering whether there is a life in the business after the Doctor. Tennant, with classical stage roles and acclaimed ITV drama performances to his credit, seems to have shown the way, although his agent really should be ashamed of getting him to do those excruciating ads for Virgin Media. Smith already has the kudos of being the only Doctor to win a BAFTA for his performances in the role, so is unlikely to be short of offers for future work.